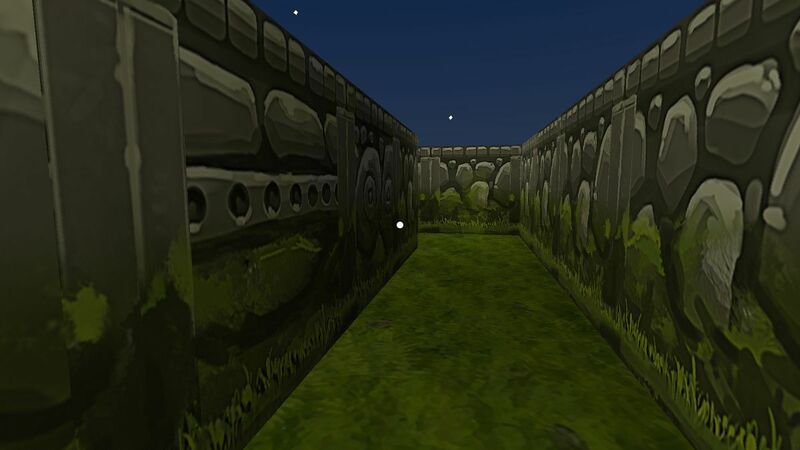 Exploring mazes can be lots of fun in real life, but translating them into computer/mobile games can be rather challenging and sometimes plain boring. Maze VR: Ultimate Pathfinding is a VR maze game developed by RiseAngle, Inc. that wants to change all of that by integrating an exciting new feature. The addition of VR makes this game extremely appealing to people of all ages! Right off the bat, I have to say that I tried Maze VR: Ultimate Pathfinding with the Gear VR headset and the game works very well. Unlike other VR games that induce motion sickness, here you get none of that. I played the game for roughly 1 hour and a half, and I didn’t end up dealing with any problems whatsoever. So, performance-wise, you get a very fluid and fun gameplay that you will enjoy quite a bit. When it comes to the game itself, this is an exploration title first and foremost. You do need to figure out your way out of your maze, but the adventure on its own comes from exploring the mazes and seeing their uniqueness and benefits. I believe the game does an excellent job when it comes to sharing 24 different mazes as those are distinct and they have a unique feel. The graphics are magnificent. Usually, a VR game focuses more on the experience rather than the graphics, but here you do get an immersive game world that you want to be a part of. They did a magnificent job at making you memorize the map. You will end up dealing with some mazes that are a bit hard to solve, but then again this is where you get to have the authentic experience. Right off the bat, I have to say that the game is easy to get into. Sure, it does get harder along the way, but as you play, you will get very familiar with the controls. The thing I like a lot in Maze VR: Ultimate Pathfinding is that you don’t need touch features or a controller. You just need to gaze towards a certain location, and you will go that way. It helps you build up a state of immersion, and that does work to your advantage. Going through mazes is a lot of fun, and a large number of mazes just encourages replayability even more. While memorizing some of the mazes can be a bit confusing, you will still enjoy exploring the unique gameplay ideas shared here. There’s a huge replay value to be had in the game, and in the end, you will always come back to the game for another run, be it for just 20-30 minutes. Should you purchase Maze VR: Ultimate Pathfinding? Yes, this game is one of the best VR experiences on Android, and it works amazingly well. Not only does it have distinct VR elements that work very well, but the gameplay is fun, and there’s a lot of content as a whole. It’s definitely worth your time, all you need is to check it out, and you will not be disappointed!